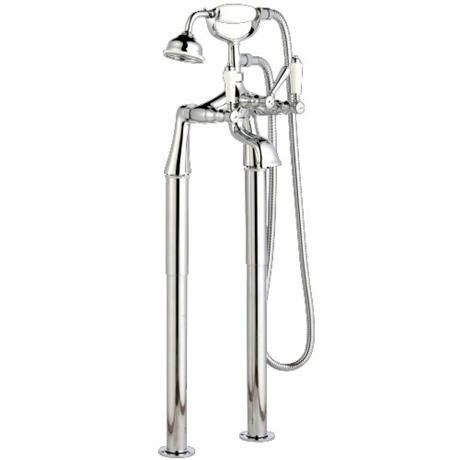 The Ultra Bloomsbury Bath Shower Mixer with Extended Leg Set. Classically styled taps, designed and built using the latest techniques, bloomsbury offers traditional tap styling. An ideal choice for those wishing to upgrade a classic bathroom. The ceramic disc valve offers up to date technology whilst maintaining a traditional look. Extended leg set with adjustable shrouds to be used in conjunction with bath tap holes to go underneath the rim of the bath. This pack was excellent value for money. The chap said that they were easy to fit and of good quality. They look really smart and has made a big difference to the overall finish to the bathroom!